Game worth it or not? Read my reviews and decide after. Minimal spoilers, of course. Nothing to ruin the game for you. Visit the FAQ page. Serious business. Ask away! We don't bite but we can kick butts. Logic please. Hello, folks. This is sasugasugoi speaking for the last time. After long hours of thinking, I came to a conclusion that I should shut down this blog, if my university schedule would allow me, temporarily. If my schedule serves me right, I might be able to come back by April again. I will not take down the blog so you can continue to see the tutorials as much as you need to but I will no longer be able to answer your queries, unlike before. I have already started to be inactive anyway, might as well be stably inactive for the mean time. *Accepts cookie and hands you an entire cake in return, for you deserve it* Thank you sasugasugoi for this wonderful experience, I can honestly say I enjoyed working on this blog with you. It's sad that the blog is shut down, but I look forward to your next projects! Keep me updated! And I'll be more than glad to continue to help if you decide to reopen this blog. To everyone, thank you for staying this long. Even when I started to be inactive, I could still see that people still drops by everyday. This blog usually gets a 150-300 pageviews daily. Thank you for that, even when I just fail your expectations by not giving you new worthy updates. Until we meet again, everyone! Bye! P.S: If I come back, I will start including BL games in the tutorials. Get ready just in case, fujoshis, though I'm sure you don't need my help anyway. 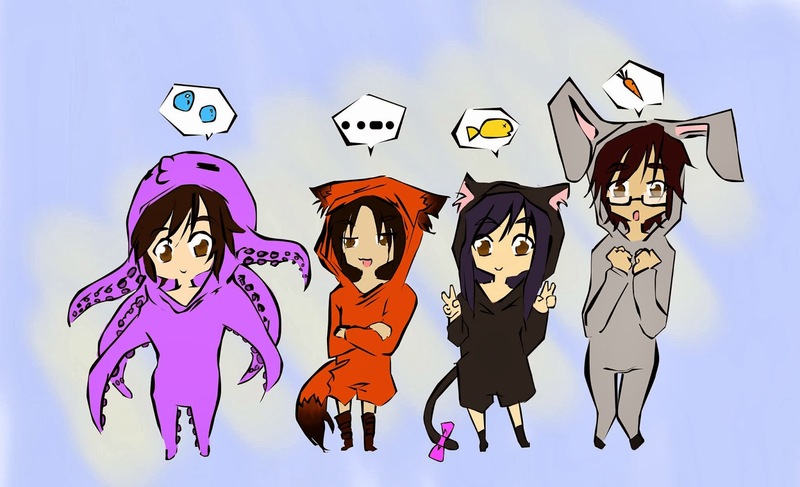 Just to impart something personal, here is a skecth drawn by one of my friends, colored by another and hindered by me. 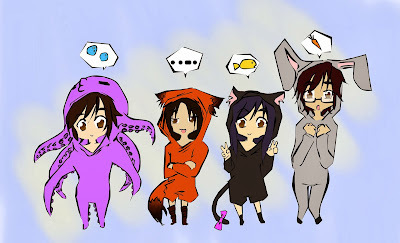 XD This is our chibi version. I'm the black cat anyway. Kimiko Yui has been unable to leave her house for over ten years. When her daughter comes down with a mysterious mental illness that requires a chaperone at school, Kimiko finds herself more desperate than ever to conquer her agoraphobia once and for all. Target Audience: Once again, they present us a 16+ game. Be careful in playing this. This really isn't meant for innocent ones. 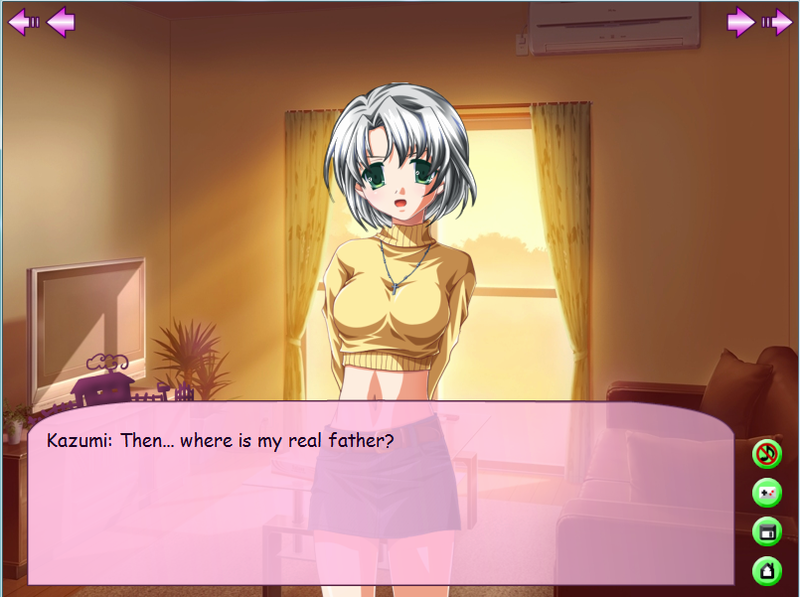 I mean, if I was a newbie to a visual novel game and I chanced upon this immediately, I would probably be scarred. 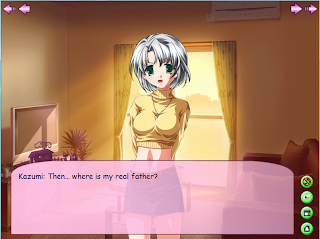 It's not an innocent vn for an innocent reader. Story: Too dark. 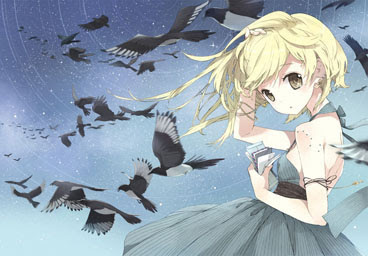 It's a short visual novel full of heavy drama and psychology. I have nothing against dark plots. On the contrary, I love them. However, this visual novel needs a comic relief to balance the heavy plot. If it's too heavy, there would be no emotional climate for the readers to enjoy since the tone is pretty deep already and just gets deeper without something in the script to pull it up. On the other hand, I commend the use of psychology in the plot. 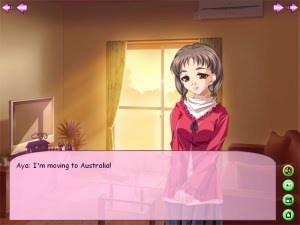 It's a new taste in the visual novel stories we get. It's very emotional and realistic. I really love it since it had me on the edge of my seat during the whole playing! 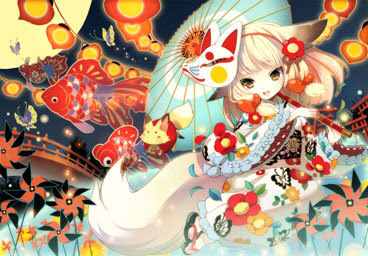 CG/Art: Of course, it's cute. Lightly colored for a dark plot. I laughed a lot when Kento is down to his boxers. What? He looks cute for a prickly guy. I lol'ed when Naoki decided to visit Kimiko in boxers and singlet too. Kimiko was like, "Wow, I can't help but think that's a really intense outfit...". Are you freaking serious, woman? 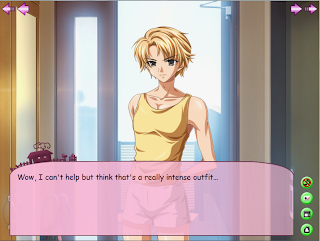 Naoki just showed up in his underwear and that's your reaction? Seriously, woman, you're like a hermit. 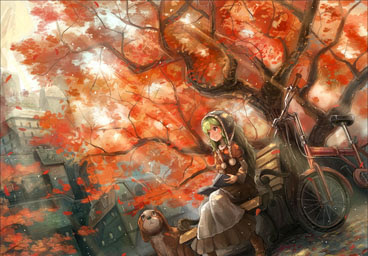 Unfortunately, we don't have CG which would surely make things more interesting. Music: A nice soundtrack to accompany the story. It's high quality with no noise to grate your ears! Unfortunately, we always get to hear the dark and suspicious music. The light-hearted ones are just used to the neutral scenes, just something to keep the scene from being in mute mode. 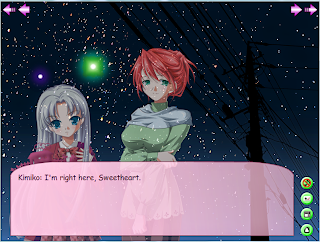 Setting: Because our heroine is agoraphobic, we just went around the house. Which is the probably the point of the novel. Difficulty Level/Gameplay: The options are really hard to choose from because they absolutely feel the same. It's not a type of difficult that is really puzzling but for me, it's because there's just not enough clues for me to get by. The plot is one of a kind and unpredictable since it tackles a human mind. Hell knows how random their minds get. The options are a wild jump in the lake. To get through this, you need to think of a particular approach. 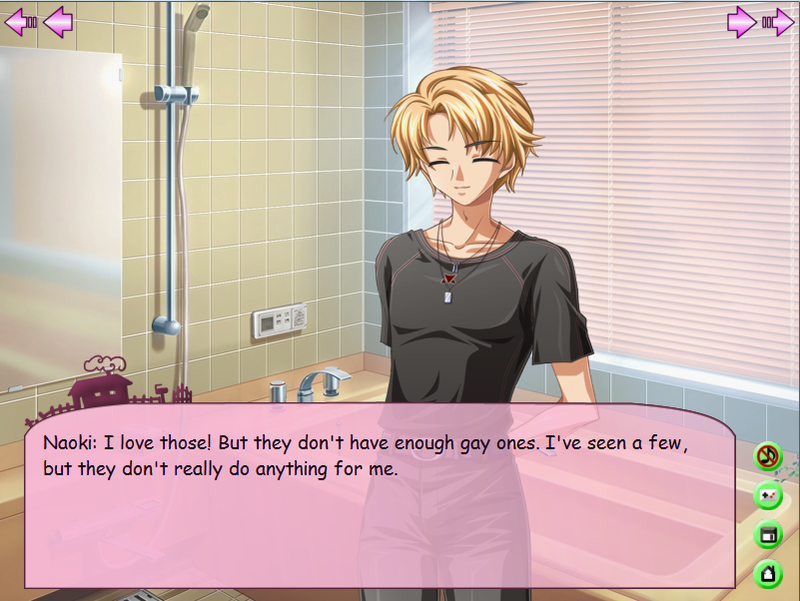 This is not an otome game wherein you have to understand the obtainable guy's attitude or personality. In here, you have to think about your action and the consequences it will cause the people around you since this is quite the psychology game. If you blindly choose, you're really lost. Welcome onna. Let's meet in Canberra. Just make it in four days. 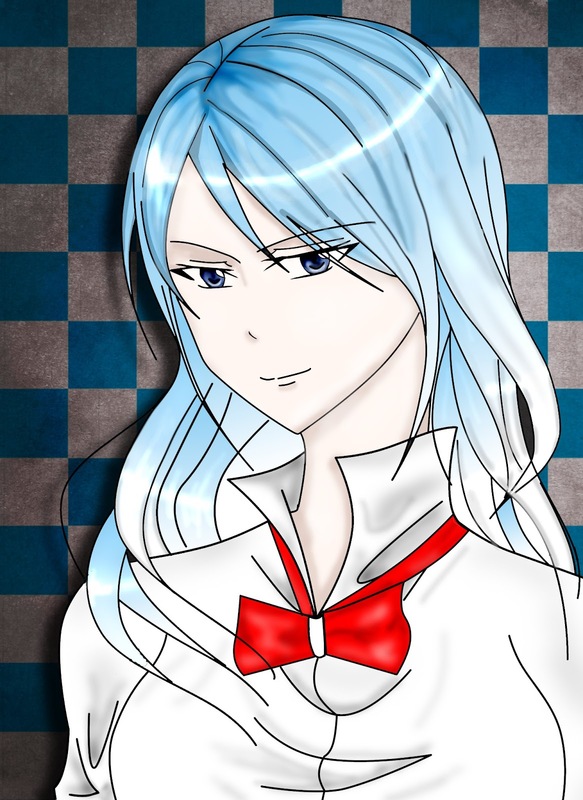 Woah, Kazumi. What happened to you? You were a loli not so long ago! All in all, it's a nice game worth trying. If you're looking for a silly otome game, wrong place. This is too mature for that. If you're in for a psycho-deep story, ride on board! Just give them a visit and a hello! Black Angel is very busy in real life right now. We can't proceed with the goodie we want to give all of you. Without her cooperation, I'm pretty much dead right now. On the other hand, I bring you good news! 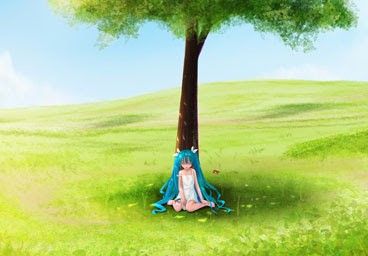 I will update the Starry Sky ~in Spring~ Installation tutorial for Windows 7. Win XP is obsolete nowadays anyway. Have to cope up. I might be also be doing a tutorial for Windows 8 when I managed to get an installer. Cheerio Windows users. Sorry, Mac users. I still have no intention of doing tutorials for Mac since I am seriously allergic to Apple and their products. They always make finding softwares completely complicated and costly. Sorry, I decided to lay my hands off them a long time ago. At the current flow of things, I don't see any reason to change my status quo. 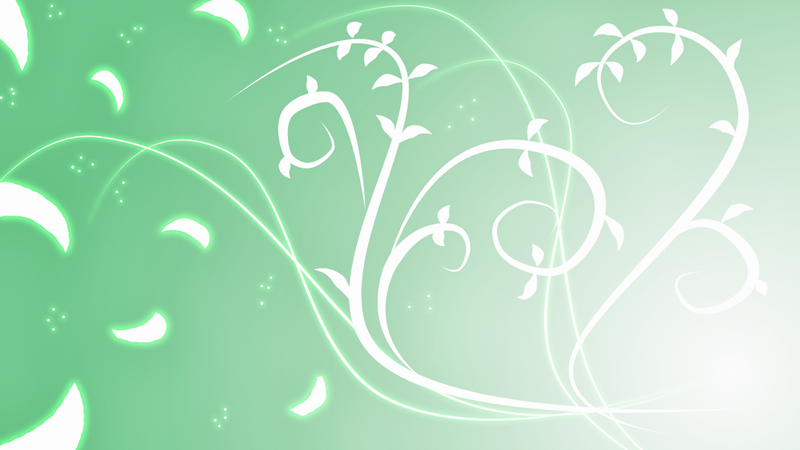 Last May 7, 2012, I created sasugasugoi.blogspot.com, a blog dedicated to helping otome gamers everywhere. We survived a year of struggling of uploading, making tutorials and answering/debugging everyone's concern. We had 54 899 page views since creation with an average of 150-300 pageviews per day from audiences from United States, Indonesia, Philippines, Russia, Australia, Canada, Malaysia, United Kingdom, Germany and France. Thank you for a year of interaction with us. Forgive our incompetence and we hope to do better this year. Our year's agenda is to upload all the otome games we possess to spread the otome game madness. Now, I mentioned in the previous update post that we have a goodie prepared for all of you. Too bad, we weren't able to make it on time. There's just two of us working on it after all. We'll just inform you in a few more days. We're actually busy in our real lives but we're trying to make it and we don't want it to be crappy. Sorry for raising your hopes like that. Just some eye candies to make up for my incompetence. Stupid me. 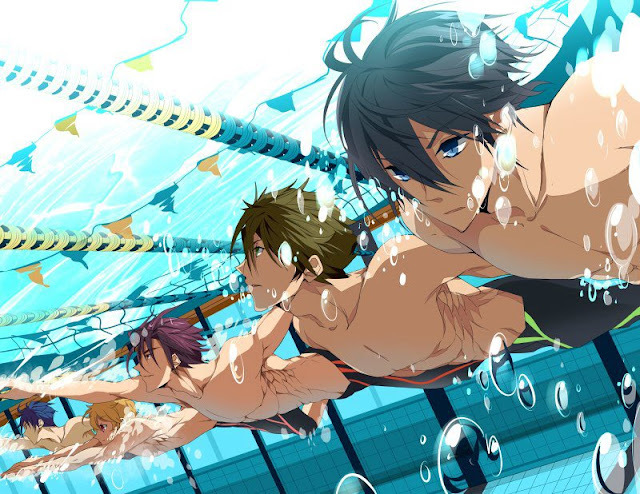 This is "Free! 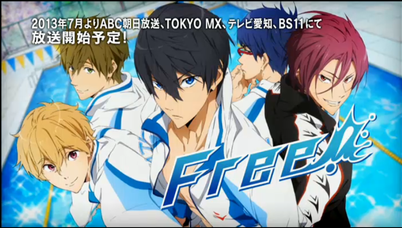 ", a new anime coming by July. Yum. Since this is the currently airing otome game-turned-anime. 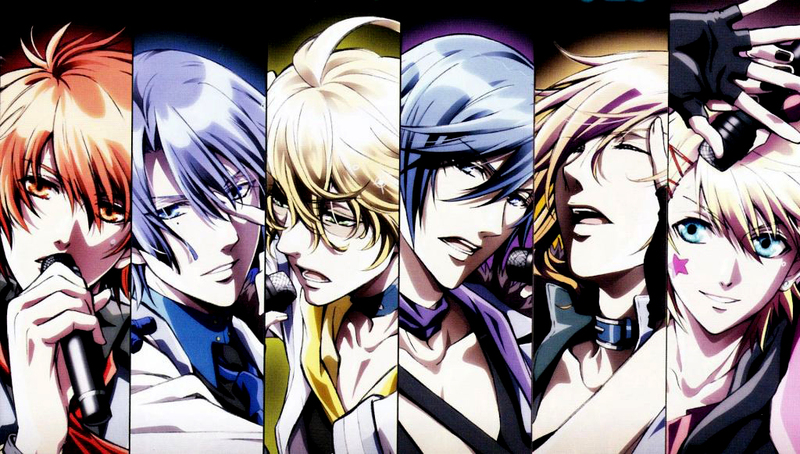 Brothers' Conflict will come soon. Man, sorry for the inactive blog. 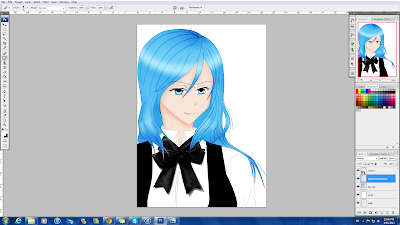 We're currently busy having a life and making the otome game. Just to let you know, the script is not yet done. Frankly speaking, a lot of things are not yet being started yet. My irl partner went AWOL *huff*. Without contact, you can pretty much guess what happens. Note to all of us: Hang in there! 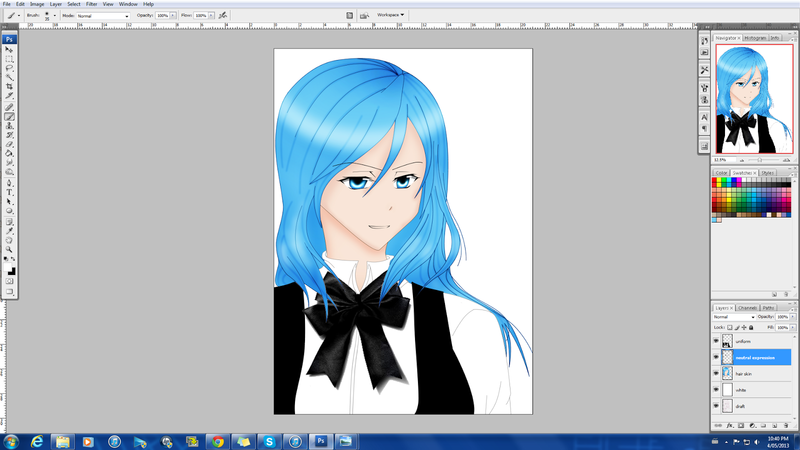 Another WIP (work-in-progress) but only minor finishings are left anyway. Frankly speaking, I like this design better. You can compare the effort I spent compared to the other one. I mean, just look! HERE IT IS, GIRLS! KYOTO ANIMATION HEARD US! Kyoto Animation will reveal their next project on April 26 on 10:00 pm , of course their timezone. Niconico will stream the event so ready your bandwidths for a non-lag buffering video. Also, you may have noticed that my Always Remember Me installation tutorial is unfortunately gone from this blog for piracy reasons since it's an English-made game and all, so sorry about that. However, if you do have any issues with getting the game, you could always email me for help ^_^. Hmmm, I really don't have anything else to say right now, if you have any questions and/or comments, feel free to leave them below! Ja ne! Do forgive the fact that this blog may be quite empty as of yet. 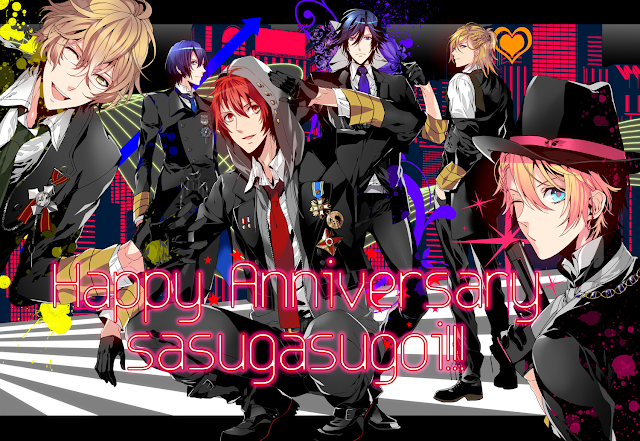 Sasuga Sugoi was created on the 7th of May, 2012.